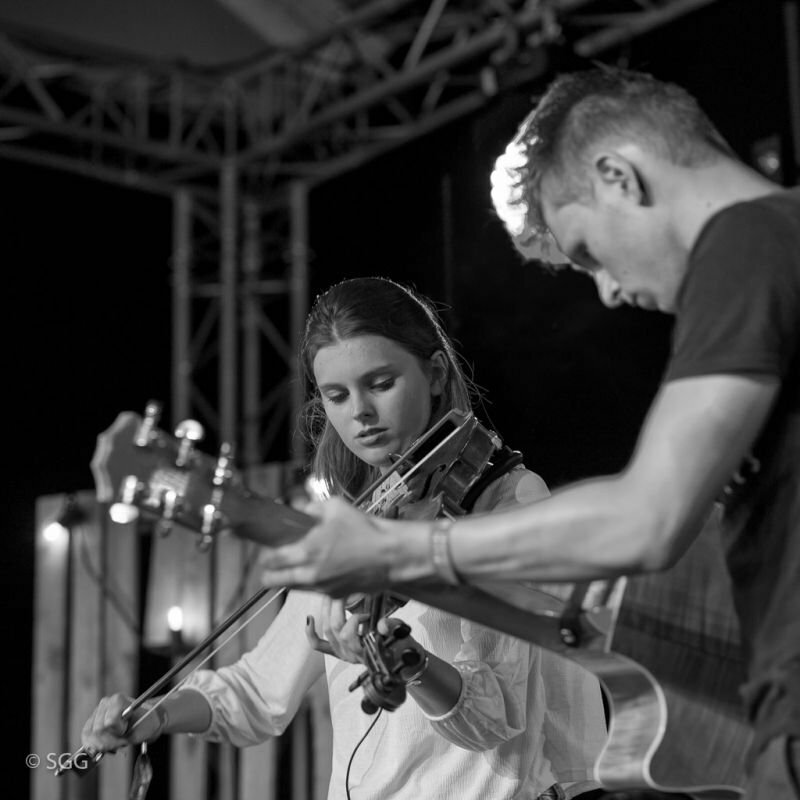 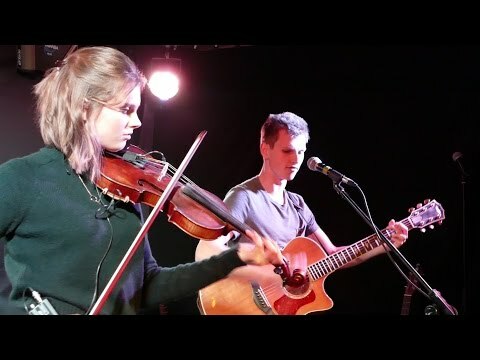 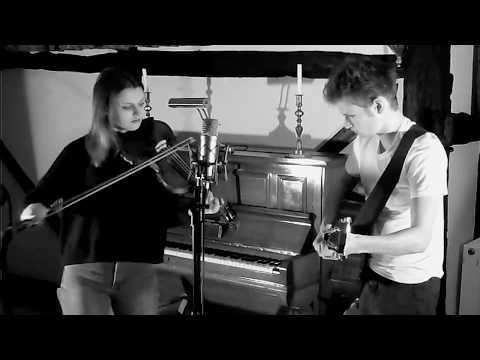 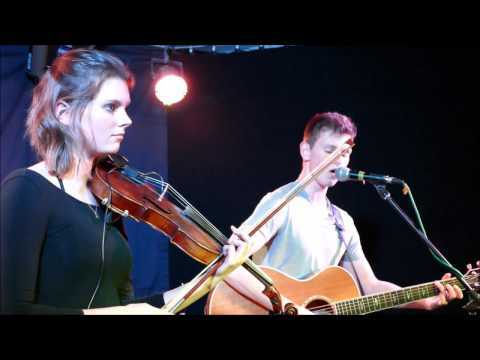 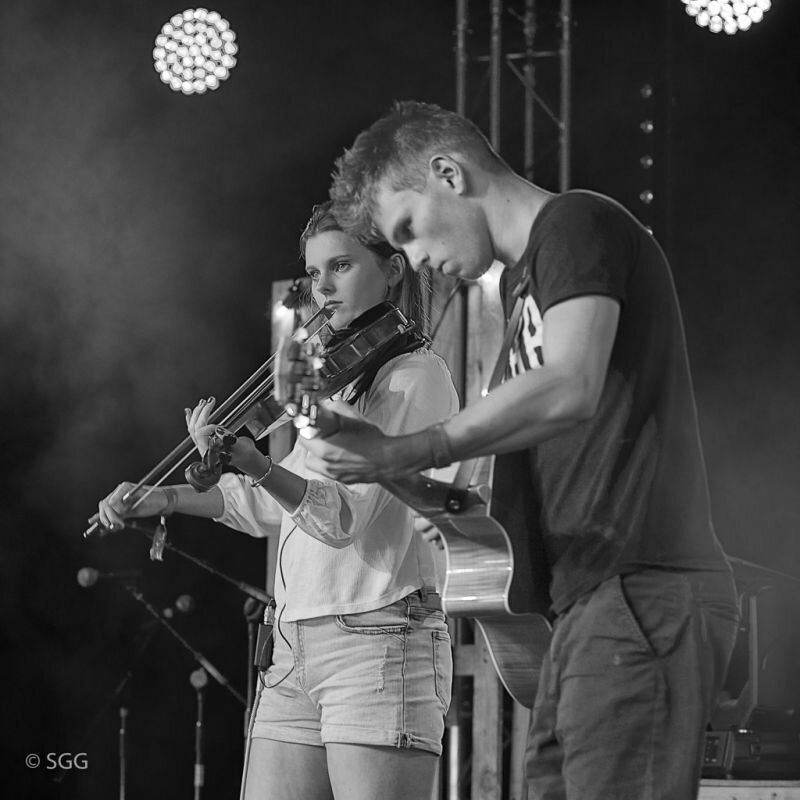 Starlight Barking are a folk duo who perform a mixture of lively original and traditional tunes on fiddle and guitar, along with some songs. 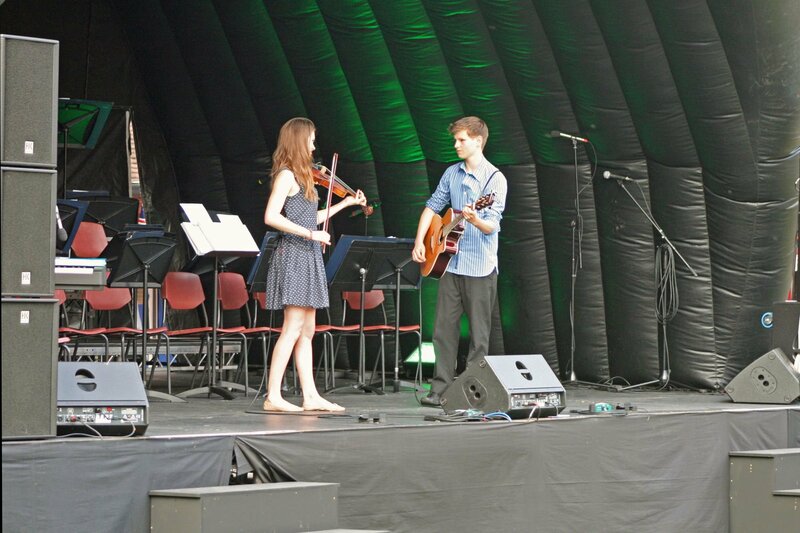 Siblings George Brandon, guitar and vocals, and Holly Brandon on fiddle, have been playing music together for as long as they can remember. 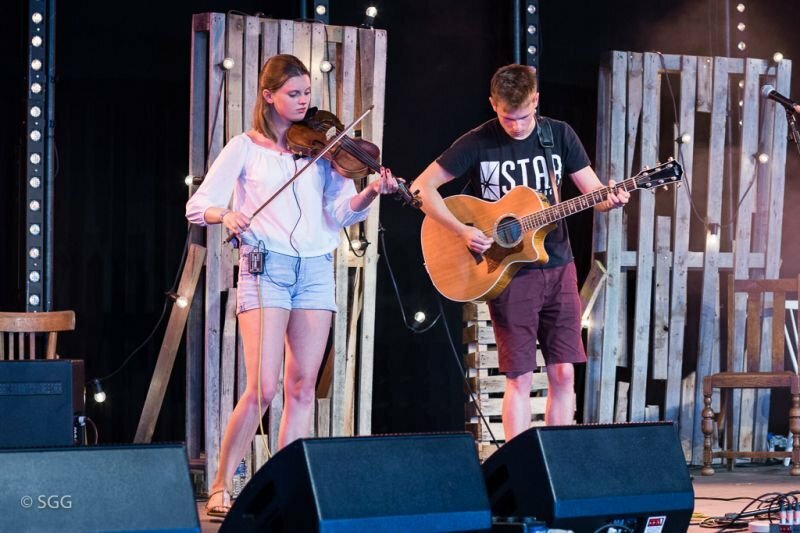 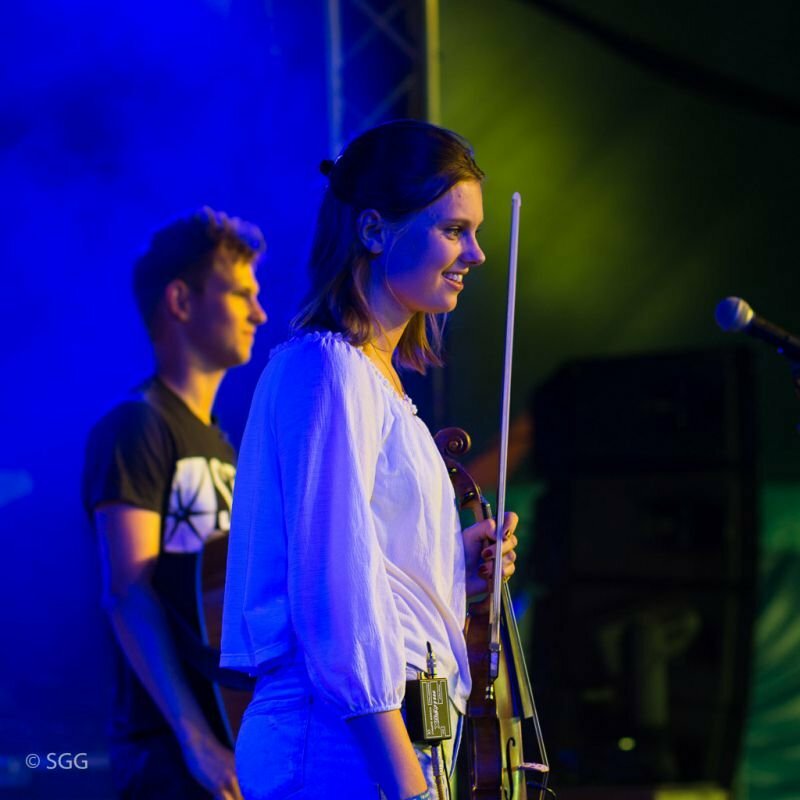 Starlight Barking have performed at venues all over the country, including HMS Warrior, Towersey Festival, EdleFest and Thame Town Music Festival. 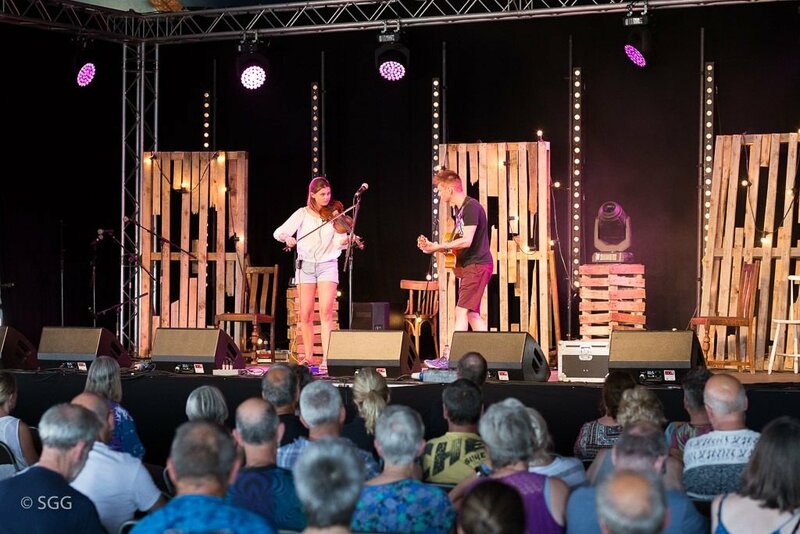 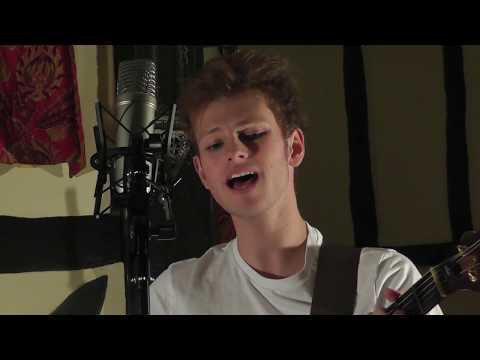 With headline spots from multiple BBC award winner Chris Wood and the truly amazing Rob Heron and the Tea Pad Orchestra we have some great acts for you at EdleFest 2018 - the only music festival at the corner of Bucks, Beds and Herts. 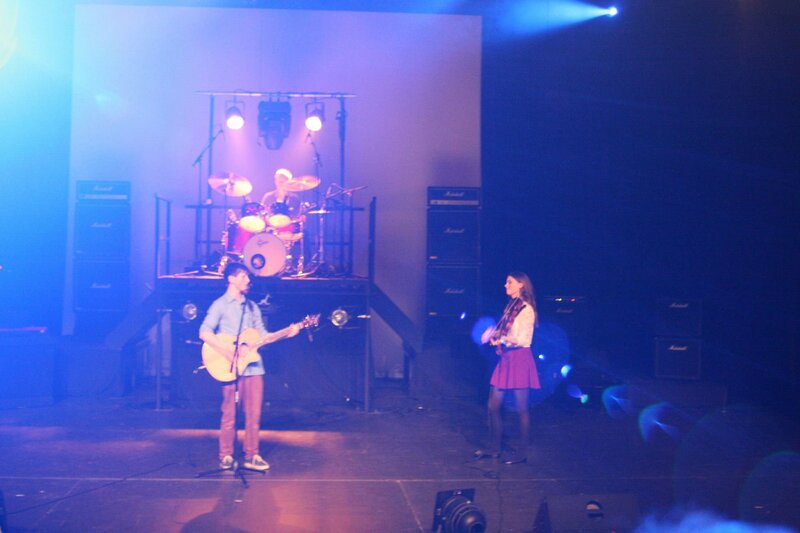 Having won the Towersey Festival Open Mic Competition, Starlight Barking are performing at the festival's Big Club. 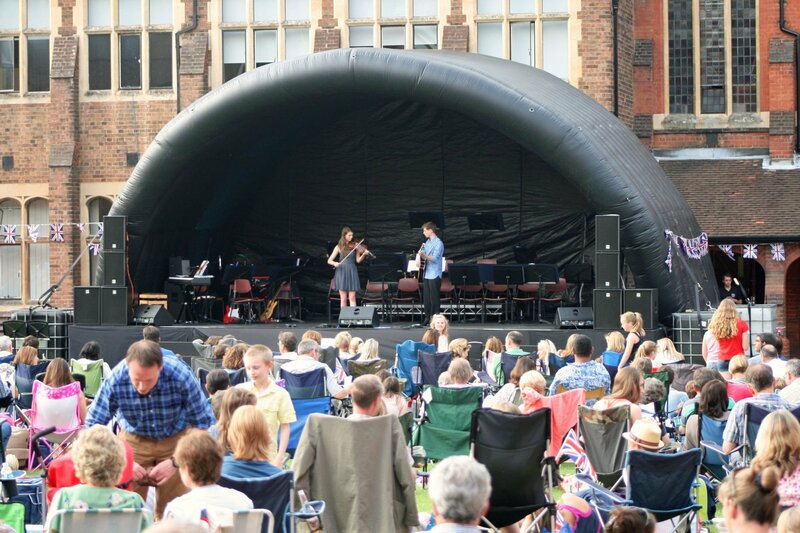 Thame Town Music Festival is a free, multi-venue, multi musical genre, town centre celebration of live music, held in Thame on July 8th 2017. Its mission is to promote original live music, showcasing a mix of local, regional and national acts. Two great evenings of music washed down with some local ales or a glass of Pimms at Edlesborough's fifth annual music festival.